Navy ribbed socks by Bresciani. Made in Italy by highly skilled craftsmen. 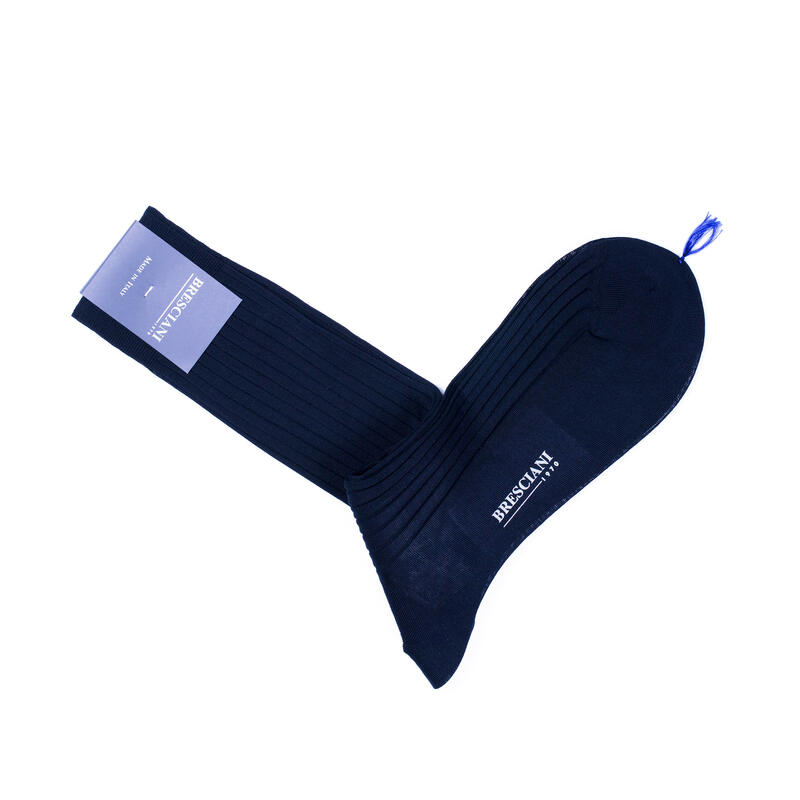 Luxurious navy blue socks - a wardrobe essential for the discerning gentleman. The ribbed pattern provides a better grip and a high level of comfort through the day.